What could be better than appliqué and piecing combined? 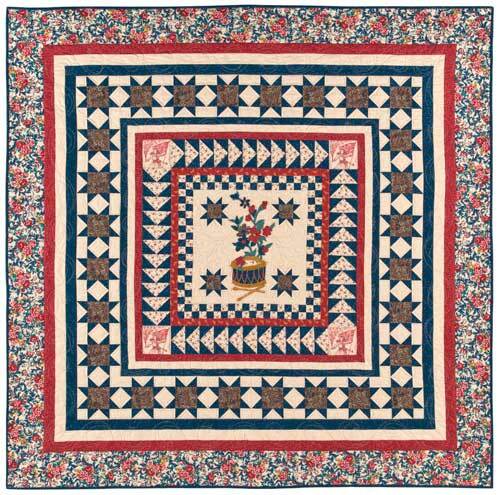 This striking patriotic quilt begins with a medallion and finishes with fun borders including checkerboards, wild geese and pieced stars. Guaranteed to get you ready for the 4th of July!